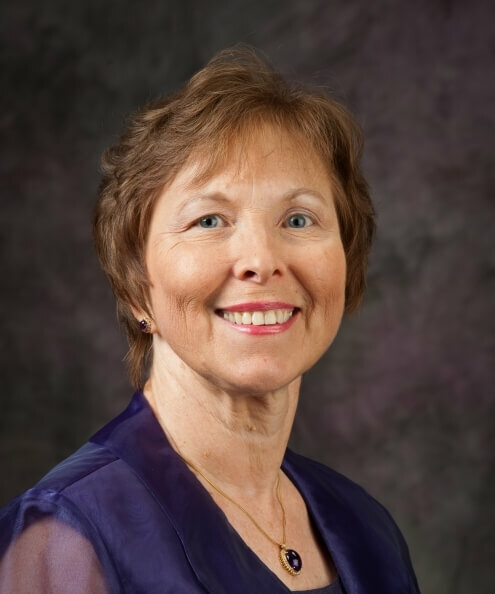 Carol Shanklin, dean of Kansas State University's Graduate School and professor of dietetics, has served the dietetics profession for more than 25 years. As dean of the Graduate School since 2009, Shanklin coordinates all aspects of graduate education at K-State, including recruitment and retention of graduate students, recruitment and professional development activities, promoting graduate and professional education and coordinating professional development and the Summer Undergraduate Research Program. She represents the Graduate School on numerous university committees and task forces. She continues to mentor graduate students and supports K-State's Graduate Student Council as co-advisor. She currently serves as member of the Council of Graduate Schools research and information services committee, as chair of the Great Plains Interactive Distance Education Alliance graduate deans team and as cabinet representative and past chair of the Kansas Graduate Deans Council. Shanklin's research has focused on food safety and biosecurity in food-service operations, improvement of food service operations in long-term care retirement communities, alternative approaches to waste management and minimization of solid waste in food service operations. She is a member of the research team for the Center for Excellence in Food Safety Research in Child Nutrition at K-State, funded by the U.S. Department of Agriculture. Since joining K-State in 1990, Shanklin has taught master's and doctoral courses in food service and hospitality management. She has mentored many graduate students. Shanklin has served as chair of the Midwest Association of Graduate Deans and as president of the Kansas Dietetic Association. At the national level, she has served the American Dietetic Association as chair of the education committee, chair of the council on education, chair of the commission on dietetic registration, and chair of the research committee, and she has represented Kansas as a member of the association's house of delegates. She was named one of eight recipients of the American Dietetic Association's 2001 Medallion National Award for her research, leadership, advancement of the profession and commitment to dietetic education. Shanklin was selected for the University of Delaware's Michael D. Olsen Research Award in 2004 in recognition of her research and mentoring of graduate students. In January 2009, she received the Founder’s Award for her leadership and contributions to the creation of knowledge and development. She was selected to receive the 2015 Excellence in Research Practice by the Academy of Nutrition and Dietetics. In 2018, Shanklin received the Flinchbaugh Family Wildcat Pride Award from the K-State Alumni Association. The award honors a current or emeritus K-State faculty or staff member for his or her advocacy of alumni relations, with a special emphasis on support and participation in alumni programs that engage members of the Wildcat family.